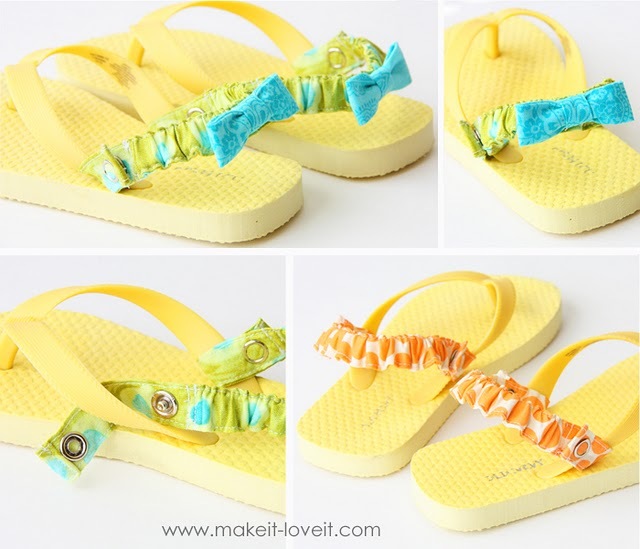 These interchangable flip flop straps are genious! 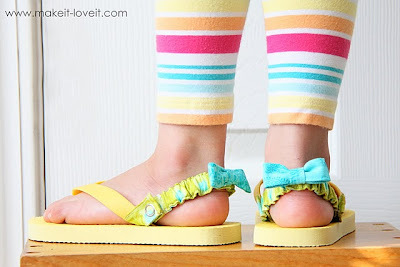 My little girl loves to wear flip flops like her big sister, but she doesn't quite have the hang of keeping them on her feet yet. And they are so cute I might make some for the big sister too. You can see the tutorial for them over at Make It and Love It. This is a fantastic idea!! I have boys, but I'm certain one of my girlfriends who has girls would love this. What a great idea. I'm now thinking of so many ways to use those. I love this idea- Im a massive flip flop fan, and this idea is brillant!! Such a smart idea! My 2 year old loves dressing up in her sissy's flip flops, but doesn't have the hang of it...off to check out your tutorial!